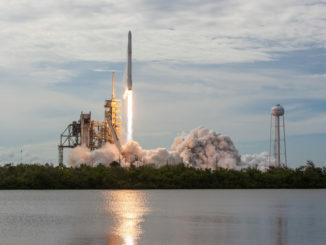 A network of amateur skywatchers and satellite observers have located a classified spacecraft owned by the National Reconnaissance Office, a U.S. government intelligence agency, in low Earth orbit after its launch May 1 from Florida aboard a SpaceX Falcon 9 rocket. Using orbital predictions derived from publicly-available information about the launcher’s trajectory, Leo Barhorst spotted the top secret spacecraft from the Netherlands earlier this week. Other observers in Canada and Russian soon chimed in on SeeSat-L, an Internet forum where enthusiasts share their satellite sightings. 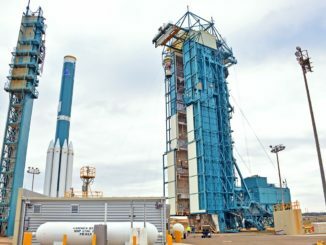 The skilled hobbyists are keen at spotting secret intelligence-gathering satellites launched by the United States, Russia and China, many of which are visible with the naked eye and require only data-sharing to pinpoint. Unlike its practice for international and commercially-owned satellites, the U.S. military does not publish orbital elements for U.S. national security spacecraft. SpaceX’s live video coverage of the rocket’s ascent into orbit ended a few minutes after liftoff at the request of the NRO. But some information about the Falcon 9 rocket’s path into orbit was released before its May 1 liftoff from NASA’s Kennedy Space Center in Florida. Notices to pilots and sailors indicated the launcher would soar northeast from Florida’s Space Coast, and suggested the Falcon 9’s second stage would de-orbit over the Indian Ocean, a common measure to prevent the creation of new space junk. Ted Molczan, an experienced satellite observer in Canada, put together his best guess for the altitude and tilt of the orbit targeted by the Falcon 9 rocket. Barhorst located the spacecraft near Molczan’s 22-day-old prediction, adding that it passed overhead around nine minutes earlier than forecast. Molczan updated his orbital elements using observations by Barhorst and three others, determining the satellite is in a slightly egg-shaped orbit with an average altitude of 248 miles (400 kilometers) and an path that oscillates between 50 degrees north and south latitude. The spacecraft is visible with the naked eye and fairly bright, the observers said. The satellite’s purpose remains a mystery, but the NRO acknowledged before the May 1 launch that it booked the SpaceX flight though a third party contractor. 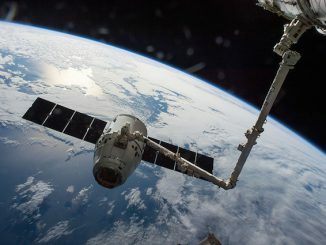 An NRO spokesperson said Ball Aerospace, a spacecraft manufacturer based in Boulder, Colorado, arranged the launch with SpaceX under the auspices of a “delivery in orbit” contract with the U.S. government spy agency. In the satellite business, a delivery in orbit contract typically describes an arrangement where a spacecraft builder hands over control of a payload the the end user — in this case, the NRO — once the mission is declared ready for operations in orbit. The spacecraft is believed to be relatively small compared to most NRO spy satellites. 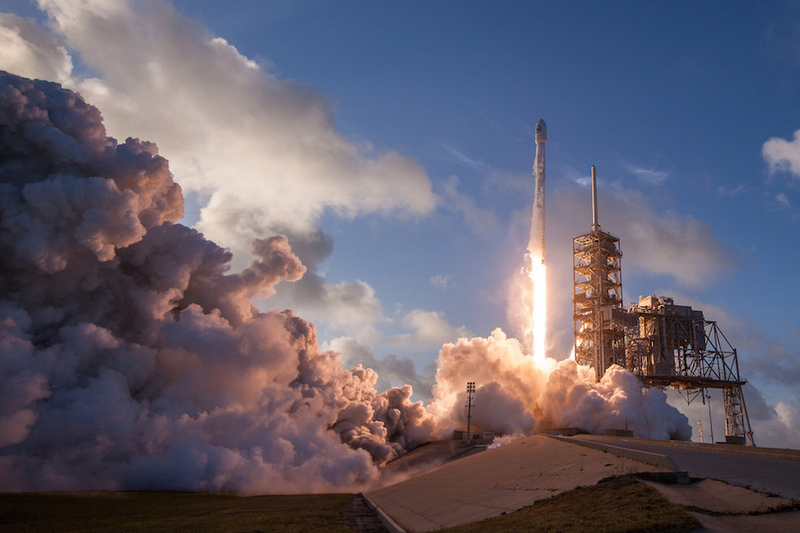 Ball Aerospace specializes in small- and medium-class satellites, and the Falcon 9 rocket’s first stage was able to hold enough reserve propellant to return to Cape Canaveral for a vertical landing after the blastoff. The launch was designated NROL-76 by the intelligence agency, and it was catalogued as USA-276 by the U.S. military. The satellite is probably on a “tech demo mission of some kind,” said Jonathan McDowell, an astrophysicist who tracks global space activity. The NRO operates radar surveillance satellites in orbits similar to USA-276’s, leading some experts to believe it could be testing a new kind of radar observing technology.